Tom Quigley, an American based in Australia, observes the many sounds of a summer night Down Under. A reader story. 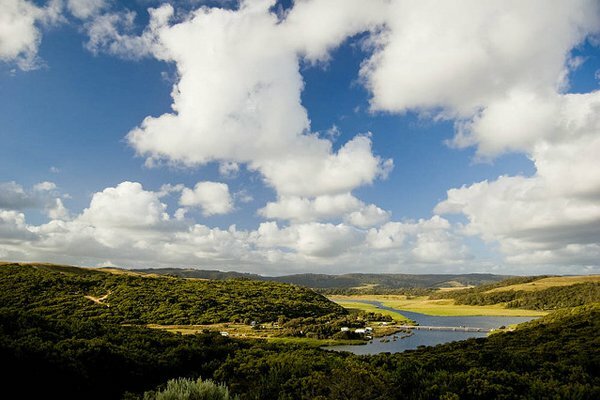 CAPE OTWAY, Australia – Cicadas act as a backdrop, an orchestral build behind the real music. If you're near water, you can hear the frogs begin snoring, rich and pleasant. Some nights you can hear the bats as they patrol for insects, blipping away like the sound of a fork on a plate, but the volume turned low. Together, they sound like a summer night. It is then that the cutest and most charismatic of Australian wildlife turns this soothing night music into an M. Night Shamylan score: the koala. Koalas alternate between two noises: an inhale and an exhale. Biologists refer to it as a "bellow," but "nightmare chord from Satan's deepest hell pit" may be more accurate. The inhale sounds like something between an angry pig and a bear woken from hibernation. The exhale sounds like the first few coughs of a rusted chainsaw mixed with the warning growl of an asthmatic panther. Little joeys call out too, but they aren't big enough to emit a properly terrifying hellnoise. They suffice with gulping thin breaths that sound like a suffocating man pleading "help..." to no reply. Females sound like whiny kazoos. You don't expect this coming from a koala, which is composed of 80% huggable fluff and a 20% composite of cuteness, sunshine, and baby gurgles. Watching a koala do anything is like seeing two 3-year-olds fall asleep holding hands after a long day playing with a puppy. It's just too damn cute. This is the case with most Australian wildlife. Creatures adorable by day induce nightmares in even the most stoic of nights. 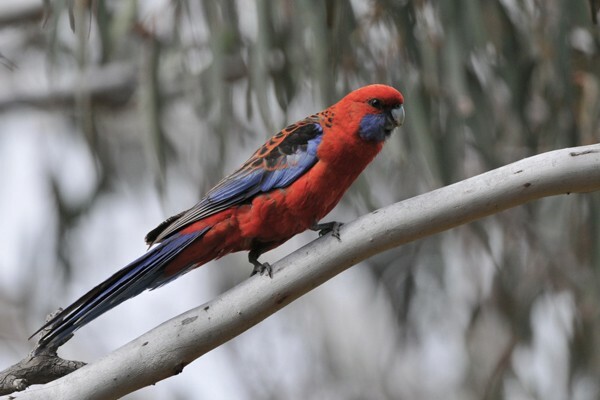 The rosella, a ruby-red parrot with sapphire wings, shrieks at a pitch that cuts through thoughts like an unexpected chalk squeak wakes a class of sleeping students. The sulfur-crested cockatiel, a Colgate-white bird with a yellow Ace Ventura flare, is gregarious and photogenic. Once the sun goes down, even the kookaburra, an Australian symbol immortalized by its iconic bush laugh, starts to sound like The Joker in his pivotal moment of revenge. And there are some noises to which I can't attribute a species. Ones that sneak out in darkness and drive imaginations to the brink. Amidst the shrieks, groans, and rumbles of an Aussie night, there remains a single jewel — a valved, flutey call that ranges over a number of octaves and sounds like the hum of a finger tracing a crystal glass. I wondered if I would ever hear it again, imagining the sound to belong to a rare and beautiful jungle bird. But it persisted at long intervals through the night and into the day. Throughout the rest of the week, my head would shoot up at its sound, trying to catch a glimpse of its origin. When at last I isolated the song to a single tree, I was surprised at the bird that exploded from its branches: a black body, straight beak, with white across the wings. The orator of this wonderful work was the common magpie. The Australian magpie is barely above "raven" on the scale of creative palette use, having added only a single color to its cousin's classic coat — white. This tuxedo of the avian kingdom is, when compared to the menagerie of colors that Australia offers, wholly forgettable. I first noticed it from a car window, but so quickly did other interesting Australian things materialize that the black and white of the magpie swiftly melted into the grey morass of my memory. From a blind test, you certainly would never match the song to the bird. There is only so much I can do with words to describe the sounds that fill the world after the sun goes down. Sight is central to so much of our lives that when it drops away, we're left lost in a city of senses. In that void, creaks become burglars and mice under the boards become monsters beneath the bed. Lying alone in full darkness, immersed in the soundtrack to Hell, sleep is much easier written than won. But every vampire has its stake and every bed-monster a good dog to keep it away, and I had found my sleep's savior in the most unexpected of places. In a country where colors compete for brilliance, where fish and birds flash by like rainbow meteors, and where, no, it isn't your imagination, the grass actually is greener, it was the most muted one with the greatest voice. The song of the magpie is like a chorus of flutes, playing in harmony, heard from behind a waterfall. Ink on a page is a poor substitute for the true concert, but it is fitting that this James Bond of birds deserves his definition. In a night that my mind seems determined to populate with devils, full of sounds that fuel insomnia, it takes a single pure call to send the shadows away. This story was reposted with permission from Tom Quigley's . Now that you have a hankering to visit, check out Gentedimontagna's Sydney guide. is a rambling, penniless, semi-illiterate hobo who, in a heated debate about whether the world is round, was challenged to "prove it." He plans to. He travels for the scenery.